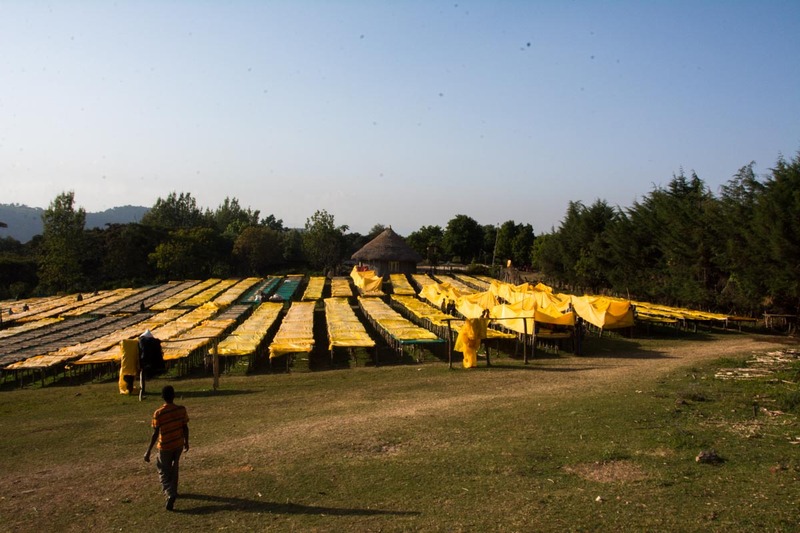 This blog is an abbreviated version of Relationship Coffee Manager Monica Terveer’s origin report on Ethiopia. To download her full report, click here. The list of things compelling enough to keep me on an airplane for over 20 hours is very short—but that list certainly includes coffee. Fortunately for me, on the other side of my flight marathons there is usually plenty of coffee, as was the case when I set off to Ethiopia in December to check in on the progress of the harvest. In this blog, I'll share a few of my observations gleaned during the trip about the Ethiopian coffee industry and how it's adapting to recent liberalization. Ethiopia currently exports only about 50% of the coffee it produces, which means that the remaining 50% is consumed locally. 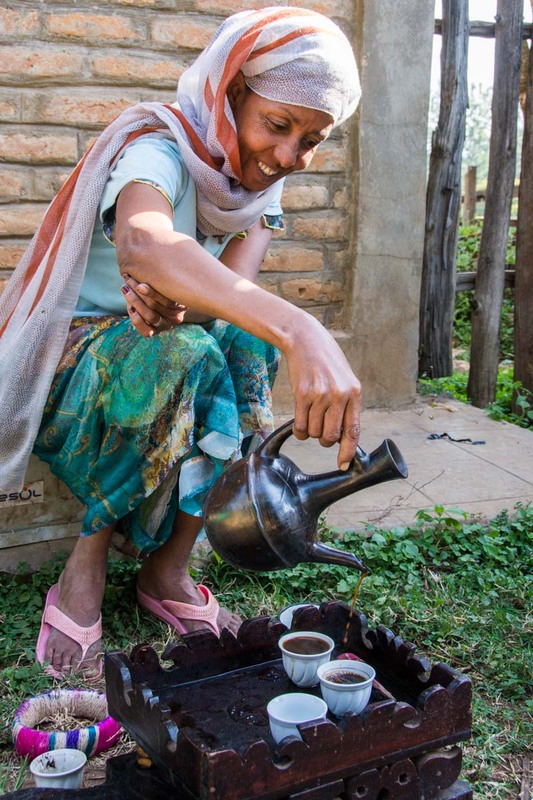 As soon as you arrive in Ethiopia, it becomes obvious that drinking coffee is a vital part of culture and daily life. Streets in the capital of Addis Ababa, as well as in more remote area, such as Jimma and Hawassa, are lined with plastic tarp cafes, one after another, that freshly roast, grind, brew, and serve coffee, or bu’na, from a clay pot called a jebena. The aroma of burning frankincense that accompanies the coffee ceremony will always remind me of Ethiopia, as you can smell it just about everywhere you go. Given Ethiopia’s popularity in the US market, I was surprised to learn that the US is only the world’s fourth largest purchaser of Ethiopian coffee, buying just under 9% of total exports. When comparing purchases as a percentage of metric tons exported, the US is behind Germany, which buys 20%, Saudi Arabia which buys 18%, and Japan, which buys slightly more than 9% of total exports. And as much as US roasters and consumers value Ethiopian coffee, Ethiopians value it more—coffee generally sells for higher prices in the local market than it does internationally, especially for ‘export-quality’ (i.e. specialty-grade) coffees. 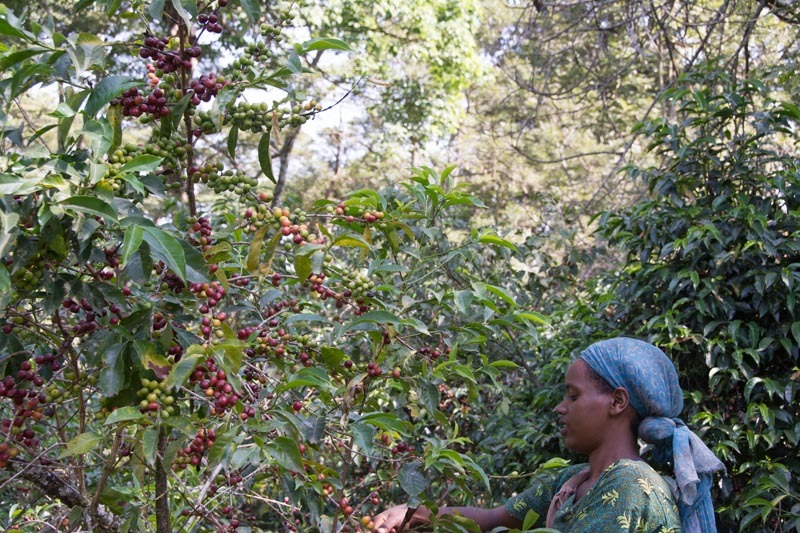 From 2008 until 2017, the Ethiopia Commodity Exchange (ECX) required that all private washing stations (those outside of farmer cooperatives like the Sidama and Yirgacheffe Unions) sell their coffee through the ECX platform. In this model, private washing stations and private estates lacking the infrastructure or license to export would sell their coffee to the ECX. The ECX would then classify this coffee with a basic cup score and location (i.e. Sidama or Yirgacheffe), and then sell it to licensed exporters through a bidding process based on its quality and regional classification. Though the ECX model was designed to increase efficiency as well as provide market access to smallholders, the classification process had the negative effect of eroding the transparency and traceability of lots. In other words, it was difficult to obtain information about a specific cooperative or washing station associated with a lot. The process also made it impossible for producers without export licenses to sell their coffee directly to international buyers, preventing direct trade relationships between roasters and these groups. Thankfully, that era of export restriction and opacity appears to be ending. 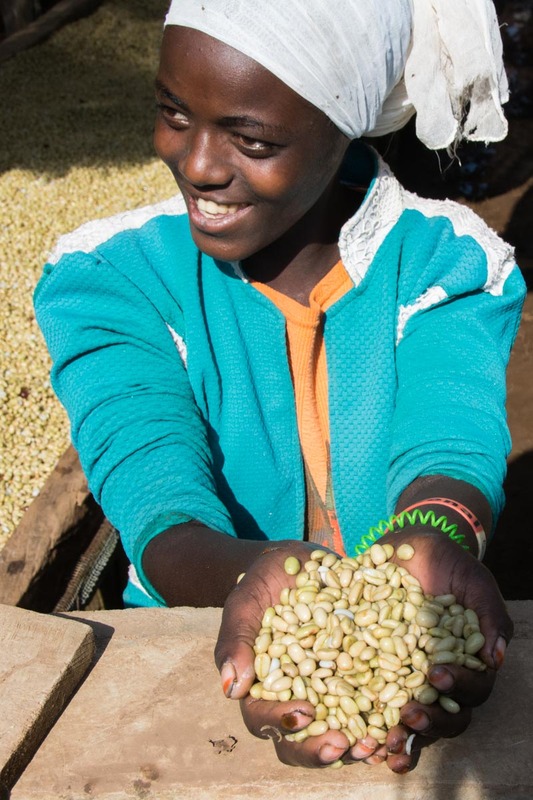 As a result of new legislation passed last year, all private producer organizations, including estates, washing stations, and even smallholders, can now export coffee directly to international buyers without going through the ECX. How will this legislation affect Sustainable Harvest®’s Supply Chain? While continuing to honor the relationships that Sustainable Harvest® has been cultivating in Ethiopia since 2004, which have been fully traceable through partnerships with cooperative unions and private estates with export capability, we look forward to building new partnerships and expanding the Relationship Coffee Model in Ethiopia with producers we were previously unable to partner with. In particular, we are excited to taste the results of farmer innovations inspired by a more open market. We're cupping up storm as the Ethiopia harvest starts to the hit the water—stay tuned to our spot offerings this spring/summer to see what we have in store! Want to learn more about Ethiopia's market dynamics? Click here to download Monica's full report.